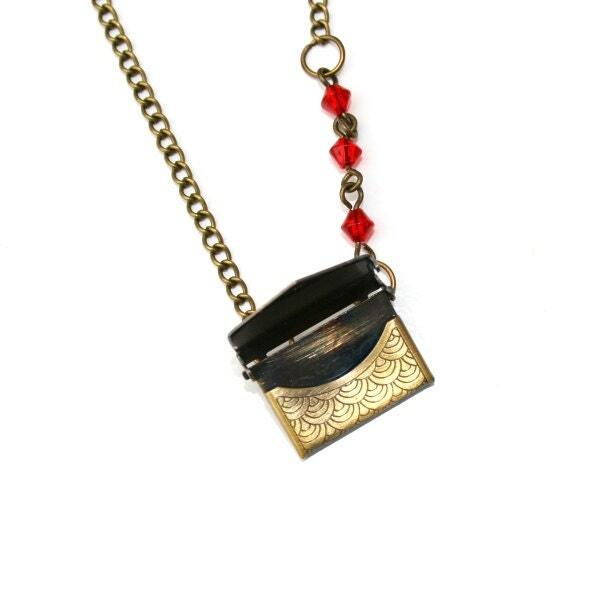 This necklace has been made by attached 3 beautiful red beads to one side of an antique brass opening letter charm. 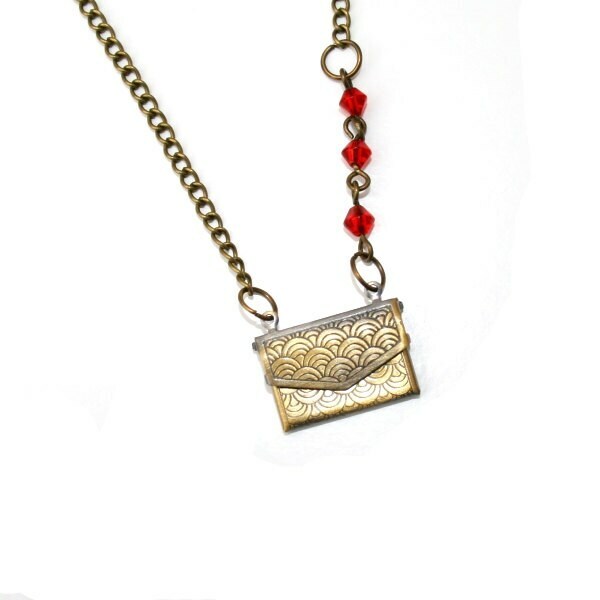 This Love letter has been added to a 30" antique brass split chain. • The letter is approximately 1" (2.5cm) wide.